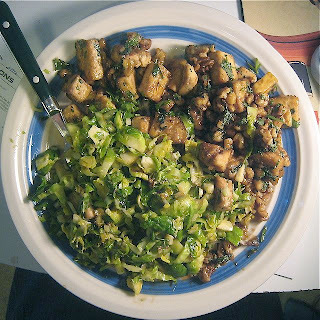 Devoid Of Culture And Indifferent To The Arts: Recipe: Maple Glazed Tofu with Brussels Sprouts. 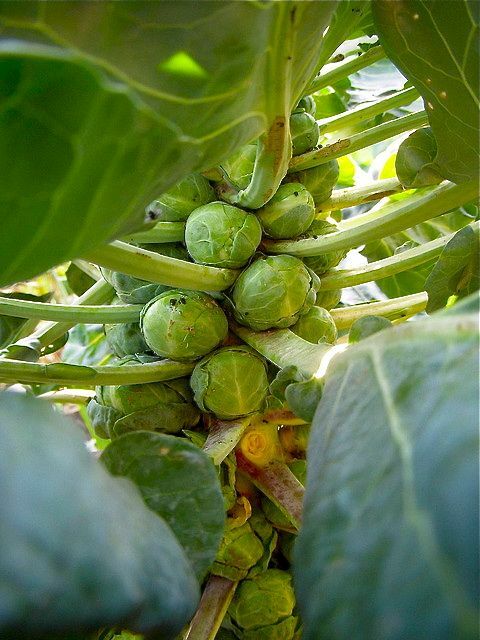 Yes, Brussels Sprouts. Recipe: Maple Glazed Tofu with Brussels Sprouts. Yes, Brussels Sprouts. So here’s a combination that you never thought of, I bet. Many people don’t like tofu, and most don’t like brussels sprouts. But put them together and something magical happens. This is a really good recipe. Tofu absorbs any flavours that are used with it, so the garlic and maple syrup infuse it nicely. Brussels sprouts, like the cauliflower in the Maqloobeh recipe from previously, taste all together different when fried than boiled or steamed. If you don’t like tofu, try this recipe. If you don’t like brussels sprouts, try this recipe. In fact, try this recipe. It’s one of those delicious dishes. Say that fast five times. Drain and press the tofu for about 30 minutes under a heavy fry pan (or similar) to remove some of the moisture. This will help it stay whole better when frying. Cut the tofu into strips about 1/4 inch thick and 1 inch long. Carefully toss the tofu strips with the cornstarch. Shake off excess. Heat the oil in a frying pan. Cook the tofu strips with a little salt until slightly golden. Remove. Add in the halved brussels sprouts and cook until beginning to brown. Use more oil if necessary. Add the garlic and walnuts and stir until garlic becomes fragrant, about 1 minute. Add pepper and adjust salt if desired. Add the tofu back in, drizzle all with the maple syrup and soy sauce and toss. Heat through. Then add the cilantro, toss well and serve.